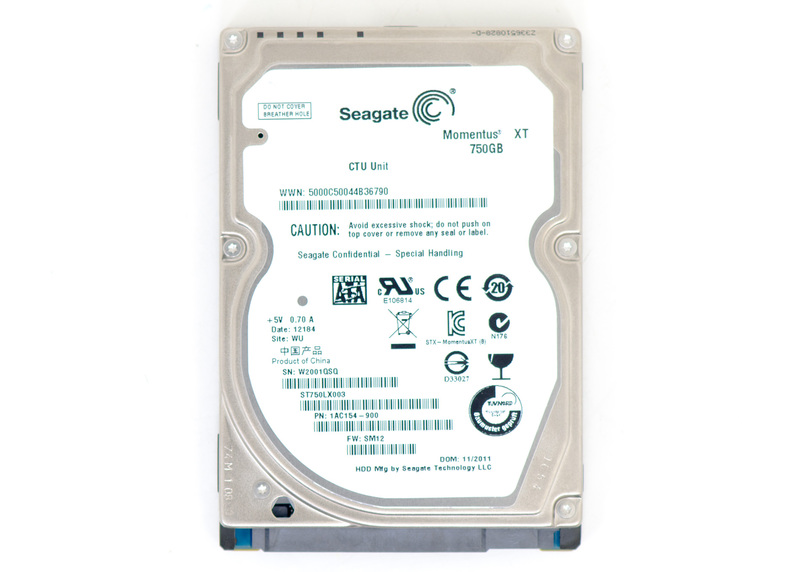 The regular Momentus 750GB is a 7200RPM 2.5-inch drive, that covers the high performance 2.5" drive segment. My VR200M has unfortunately died since the original review, but I threw the 3.5" Barracuda XT as a representative from the 3.5" high performance category. Note that in the areas where the Momentus XT really shines, even the VR200M wouldn't be enough to close the gap. "Drive Power Consumption - Sequential Write"
I currently have a 256 GB SSD on my main home system, and I'm debating swapping that out for this due to the space limitations on my SSD. All those high end games take up a whopping amount of space as does Steam. As you mentioned, the ideal use-case for hybrid drives is for notebooks where you want to combine better speed with large capacity. However, it should be noted that the Momentus XT is 9.7mm thick, just over the standard 9.5mm of most 2.5" drives, which could makes it's use problematic on notebooks with little space tolerance.